Being in a tight financial bind with bankruptcy on your mind is a tough situation to find yourself in. You might be thinking, “How can this get any worse?” Then you get hit with a traffic citation that you cannot pay, swiftly providing you with an answer to your query. Perhaps you already had traffic citations piling up because you were unable to pay them due to your financial hardship, resulting in the loss of your driver’s license. 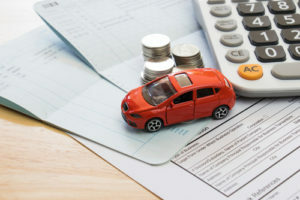 Regardless of the specific scenario, it is important to understand how bankruptcy handles unpaid traffic citations, and whether filing for bankruptcy can help you get your license back. One type of bankruptcy filing is Chapter 7, which is a great option for those with debt like credit card debt. Unfortunately, obligations like traffic citations cannot be discharged through Chapter 7. Fines and/or penalties that you owe to a governmental entity are typically not able to be discharged in bankruptcy. However, filing for Chapter 7 bankruptcy could help you get rid of other qualifying debt. This can make it so that you have enough money to pay the traffic tickets you have accrued. The other popular type of bankruptcy filing is called Chapter 13. This type of bankruptcy involves a repayment plan that helps you pay down your debt over the course of three or five years. At the conclusion of your repayment plan, the leftover debt is typically discharged. Unlike with Chapter 7 bankruptcy, Chapter 13 might make it so that you can discharge your traffic citations. Under a Chapter 13 filing, you can discharge specific fines and penalties as long as they are not criminal. It will basically depend on the type of traffic violation you were charged with and how the state classifies the fine. Now, in the event that you cannot discharge your traffic violations under Chapter 13 bankruptcy, they will be part of your three- or five-year repayment plan. If you can show that you are paying these fines with your Chapter 13 bankruptcy, you might be able to get your driver’s license reinstated right away. When it comes down to it, your unique financial hardship plays a big role in which bankruptcy filing will work best for you. In order to make sure that you know all of your options and understand which one will help you the most, you should talk to an experienced NJ bankruptcy attorney. The right bankruptcy attorney is one with years of experience and a strong track record of success. Luckily for you, Joel R. Spivack, Esq. has more than 25 years of experience successfully helping clients in Camden, Haddonfield, Collingswood, Winslow, and across New Jersey to get the fresh financial start they need and deserve. Mr. Spivack will explore what Chapter 7 or Chapter 13 bankruptcy could mean for you. He is also knowledgeable about bankruptcy alternatives that may better suit your financial needs. His unwavering dedication to helping his clients get back on track is evident in the passion he brings to the table. He will help you understand the ins and outs of the bankruptcy process in NJ and what to expect along the way. You can contact Joel Spivack by phone at (856) 488-1200 or by filling out the online contact form to begin discussing your options today. The Law Office of Joel R. Spivack is located at 1820 Chapel Ave W #195, Cherry Hill, NJ 08002.